Before carrying Han Solo and Chewbacca on their legendary adventures together, the Millennium Falcon was Lando Calrissian’s pride and joy. 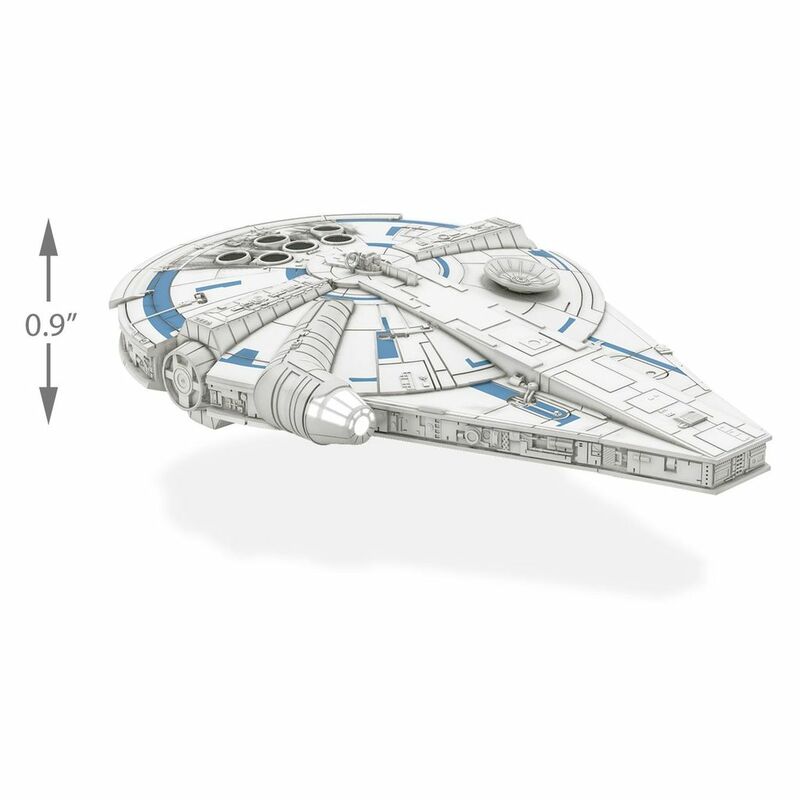 With extensive modifications just right for making the Kessel Run in less than twelve parsecs, this sleek Corellian ship needs to be docked on every fan's Christmas tree. Press the button on the ornament to see the ship light up. Battery-operated light feature includes three replaceable LR44 batteries. Magic Light Christmas tree ornament. Press the button on the ornament to see the ship light up! Battery operated. Requires three (3) LR44 batteries, included. Plastic Christmas tree ornament is lead-free and measures 4.8" W x 0.9" H x 3.1" D.